Hello friends !! 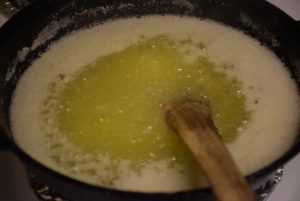 Clarified butter or Ghee is the most basic fat used in India for making sweets, smearing rotis(fulkas)/Chapatis , for roasting curries and seasoning Dal. It is not only useful in kitchen, its applications extend outside it. It can be used to soothe a burnt, chaffed skin. It can be used to stop sneezing of a baby or heal the dry nostrils. 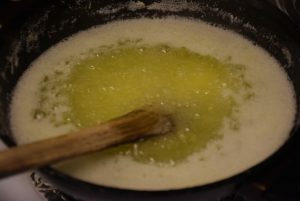 In desert areas like Rajasthan in India, Ghee was the important constituent of every meal. 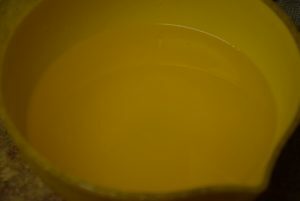 In absence of water , it provided the necessary hydration and nourishment for the body. It is high in Vitamin A and K. It also benefits children ,but moderation is the key. It is a blessing of Cow indeed. 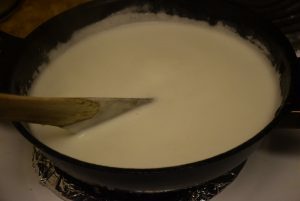 In ancient times, ladies used to churn butter from the (malai) cream of milk and then melt the butter to obtain ghee. 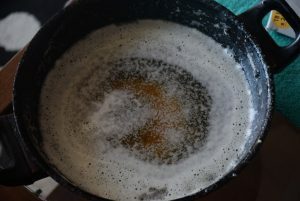 Now-a-days, that pure form is not accessible so easily, but yes you can still attain almost the same purity by making your own butter and then melting it to form ghee. 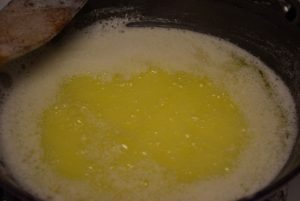 Ghee is clarified butter, because we sieve out the impurities present in the form of broken cream to obtain clear fat. 2. Turn on the heat and allow it to melt at medium to high heat. 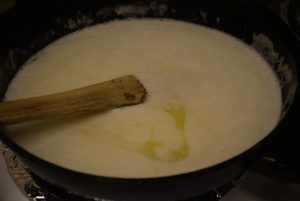 Once it melts and you see some white froths (jhaag) in it, lower the heat to low or medium and continue boiling. It melts in about 5 mins. 3. 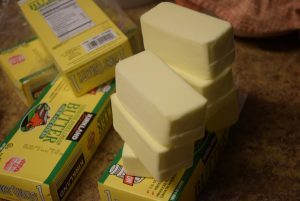 Now , patiently wait for the butter to turn transparent while boiling. 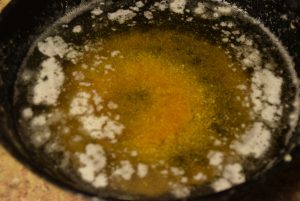 In between stir the melted butter in a non-stick wok(kadhai) with a wooden spatula. 5. Turn off the heat and take it off the heat and let it cool in the wok(kadhai) for 5 to 10 mins. So that it gets easy to handle. 6. 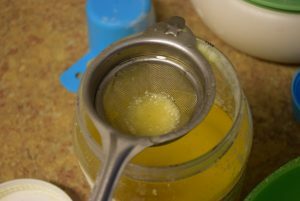 For filtering Ghee, we need a very porous strainer such that it has small and multiple holes. But usually the big strainers and colanders have big holes . 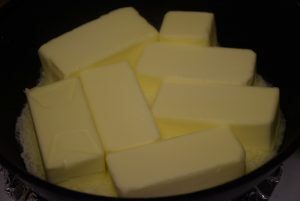 So I follow this arrangement for filtering out the cream or butter impurities on the top. 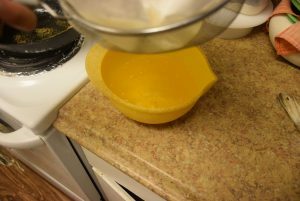 Here we need a paper towel lined colander for a fine pure stream of ghee. 7. Now turn the wok’s ghee in another container through this type of colander(chhalni). 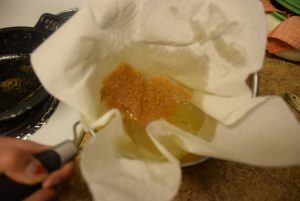 You may also use a white muslin cloth or a Cheese -cloth for linig your colander. The only problem is that the cloth would need a good wash after this and you might not be able to re-use it. 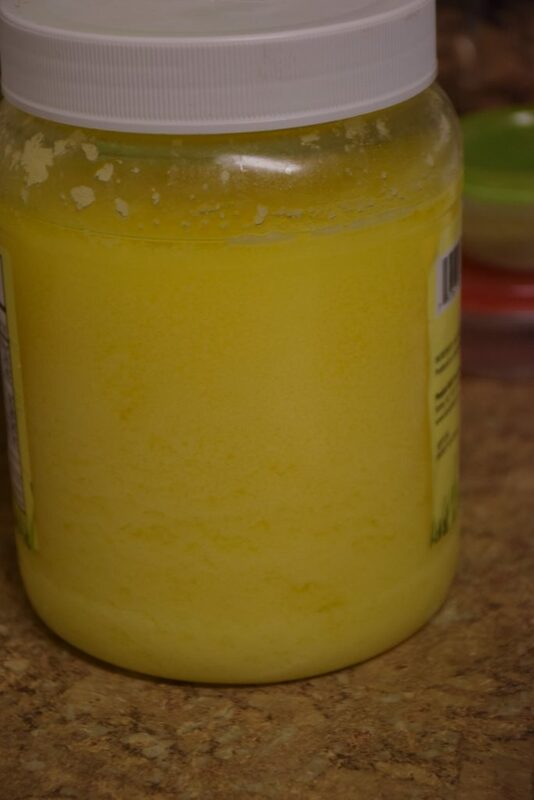 Let the ghee cool on its own in the container for an hour. 8. 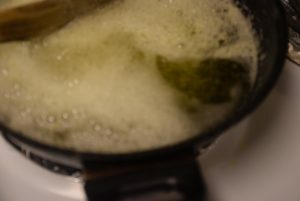 Once it is cool to touch , and the steam has passed away, empty the container in your ghee container. I am using my old ghee container for this purpose . 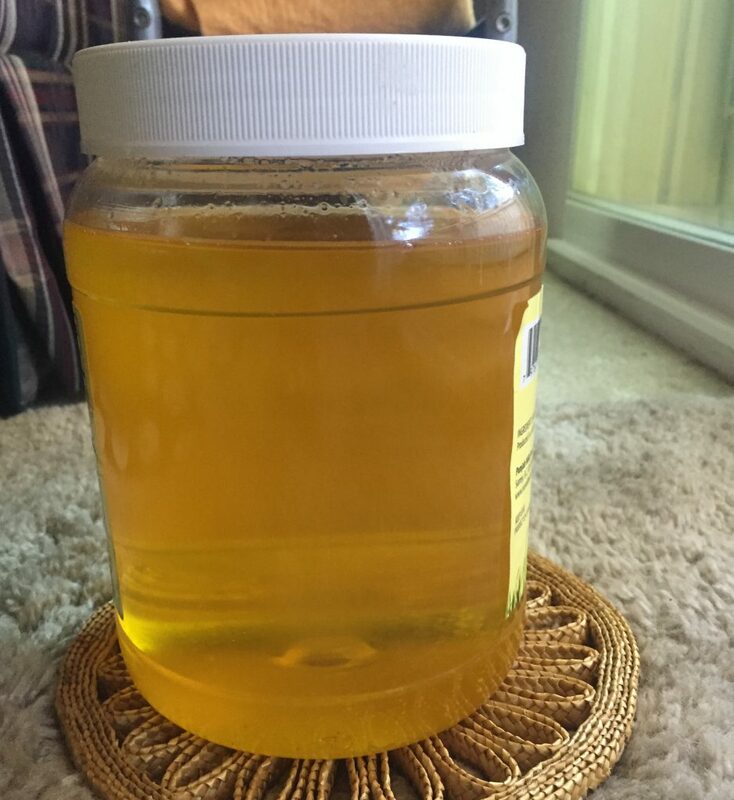 You may store ghee in a steel or a glass container too. 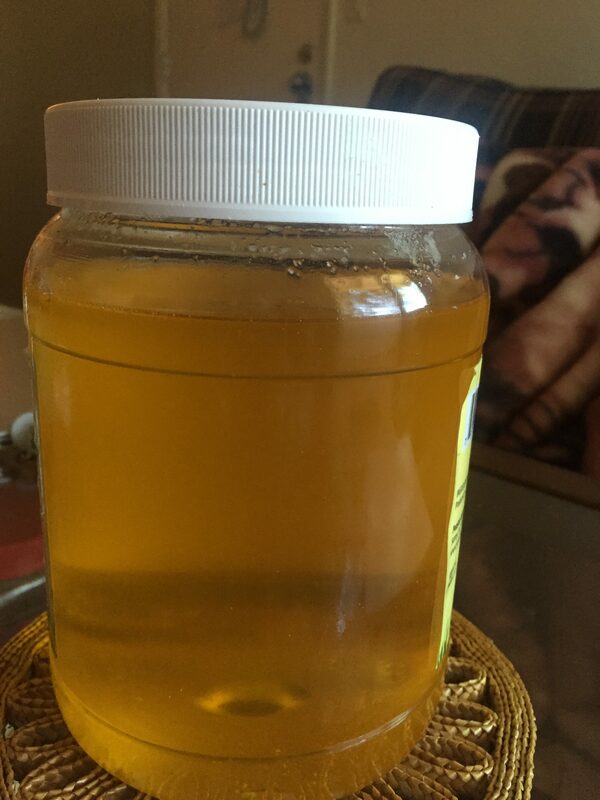 Believe me ,it is not only a good sight to see our home-made ghee, it is economic and healthy too. Since we are not using any pressure technique or additives here. So why sit back and wait for the weekends to buy Ghee now. Make your own and surprise your family with a new treat ! If you like it ,please use it and share your feedback with me ! 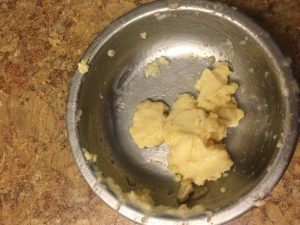 Thank you for reading this recipe! This entry was posted in Food, Raw preps, Recipes and tagged added in Dal, Balushahi, boondi k laddoo, breads smearing, burns, Carenshare, chapati, cow's butter, cow's milk, cuts, Ghevar, Good Indian fat, healthy, home-made, Indian, Indian sweets, Malpue, milk, mohanthaal, mouth cuts, no burn taste, non-burnt, non-toxic, not brown, oral defects, pasteurised butter, phulka, roti, Rujuta Diwekar, safe, Saturated fat, scrapes, scraps, seasoning, shweta jindal, sweets, tadka, yellow, yummy, zindagisikhati.